The game kicked off and almost immediately the reason why this team had been seeded in the last eight became apparent. After five minutes Dalriada saw themselves up by two tries as Ross Fallowes in the centre cut through the Ballyclare defence. They maintained this threat throughout the rest of the game running in six tries in total leaving the final score 37-16. The draw for the Quarter finals saw Dalriada handed a home draw against Sullivan to be played on saturday the 14th with a 11am ko. A real opportunity exists for this team to progress and they would welcome all the support available for this important game. On saturday 7th February Dalriada 1st XV played their Quarter Final Bowl game against Grosvenor and in a tight contest Dalriada came through to secure a 17-15 win. 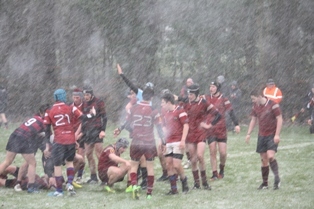 The draw for the Semi-Final made at lunchtime has pitched Dalriada against Banbridge Academy. This game is scheduled to be played at home on saturday 21st February with a 11 am ko, again support is vital if we are to take on these tough opponents. 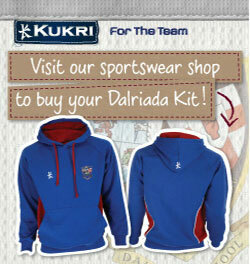 Up dates on the score will be regularly posted on the Dalriada twitter account @DalriadaRugby from the match. 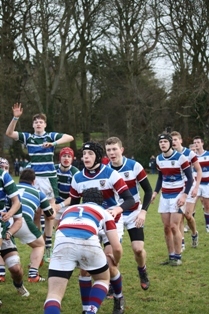 The 2nd XV team on wednesday 11th Feb took on Rainey in the Plate competition. An excellent performance saw Dalriada run in nine tries with seven conversions ending up 59-0 and now look forward to a quarter final game in the next two weeks.